Related to both hibiscus and hollyhock plants, Lavatera rose mallow is an attractive annual with lots to offer the garden. Keep reading to learn more about growing this plant. 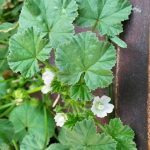 Lavatera rose mallow (Lavatera trimestris) is an impressive, shrubby plant with rich, green foliage and 4-inch blooms that appear from midsummer until the first frost. The satiny, hibiscus-like blooms range in color from pale pink to deep rose. This rose mallow is a Mediterranean native. 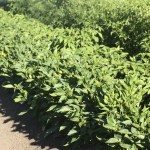 However, it has naturalized and grows wild across much of the United States. The pest- and disease-resistant plant is a magnet for hummingbirds, butterflies and various beneficial insects. It reaches mature heights of 3 to 6 feet, with a similar spread. Lavatera grows in most well-drained soil types, including poor soil. However, it performs best in sandy or loamy soil. 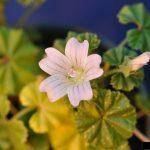 Similarly, this adaptable plant blooms best in full sunlight but tolerates partial shade. The most effective way to plant this rose mallow is by planting seeds directly in the garden after the last frost in spring. Lavatera has a long root system, so plant them in a permanent location where they won’t require transplanting. Don’t plant Lavatera too early, as the plant won’t survive frost. However, if you live in a mild climate, you can plant the seeds in autumn for blooms in late winter and spring. Remove the weakest plants when the seedlings area about 4 inches tall. Allow 18 to 24 inches between each plant. Alternatively, you can plant Lavatera indoors in late winter. 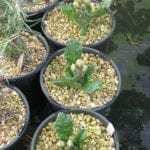 The plant, which grows quickly, benefits from planting in small pots because they outgrow tiny pots or celled trays very quickly. Lavatera care is not complicated. The plant is drought tolerant but benefits from regular water during hot, dry periods. The plant will drop blooms if the soil becomes bone dry. Feed the plant a general-purpose garden fertilizer according to label recommendations every month during the growing season. Don’t overfeed; too much fertilizer may produce a green, leafy plant at the expense of blooms. Deadhead Lavatera regularly to promote continued blooming throughout the season, but leave a few blooms in late summer if you want the plant to reseed itself. Read more articles about Lavatera.